In Together Tea, Marjan Kamali’s delightful and heartwarming debut novel, Darya has discovered the perfect gift for her daughter’s twenty-fifth birthday: an ideal husband. Mina, however, is fed up with her mother’s years of endless matchmaking and the spreadsheets grading available Iranian-American bachelors. Having spent her childhood in Tehran and the rest of her life in New York City, Mina has experienced cultural clashes firsthand, but she’s learning that the greatest clashes sometimes happen at home. 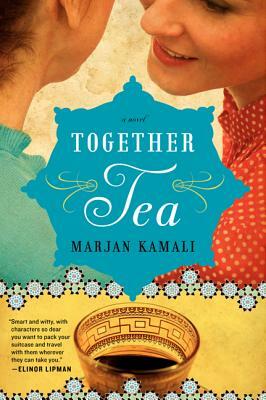 Together Tea is a moving and joyous debut novel about family, love, and finding the place you truly belong. Marjan Kamali has an MFA in creative writing from New York University and an MBA from Columbia University. Her work has been a top finalist in Glimmer Train's Fiction Open and the Asian American Short Story Contest. She lives in the Boston area with her husband and their two children.